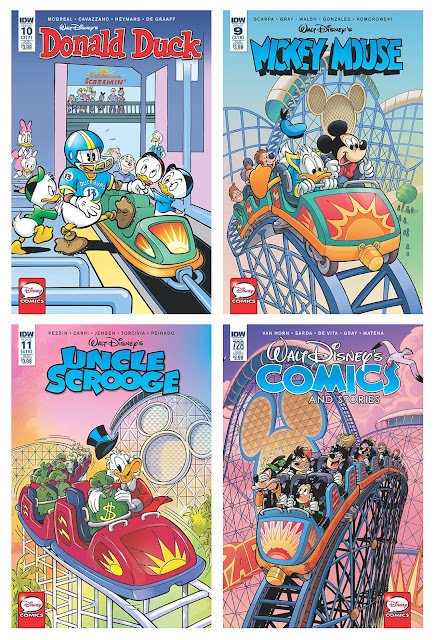 Ever since IDW started publishing the monthly Disney titles, they have all been printed with a themed cover variant. Each month have its own theme from one of the Disney parks. Last year the themed covers were the retailer incentive variants, while this year they are the subscription variants. First I have to say I’m glad Pat Block is back in business! Some of his earlier works are among my favorites. He and his wife Shelly did a cover for BOOM! too, but before that I don’t think we have seen any official Disney work since "The Case of the Missing Mummy". I hope we get to see some new stories by him and Shelly too! But if I try to range this months covers I’m afraid the Pat Block one is my least favorite. 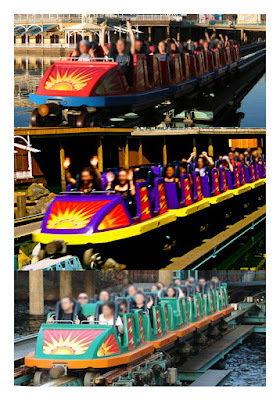 Especially Daisy looks weird I think, and the roller coaster car looks nothing like the real one. But a fun detail is that I think Pat has drawn himself and Shelly in the background. At least the couple to the right looks a lot like them! Judging by the artwork the Mickey Mouse cover is my personal favorite, while gag-wise I like the Uncle Scrooge one best. I’ve never visited this Disney park myself, so I did some image searching on the internet to compare to the covers. I wonder if any of the artists actually have been there, or if they did the same to do research. 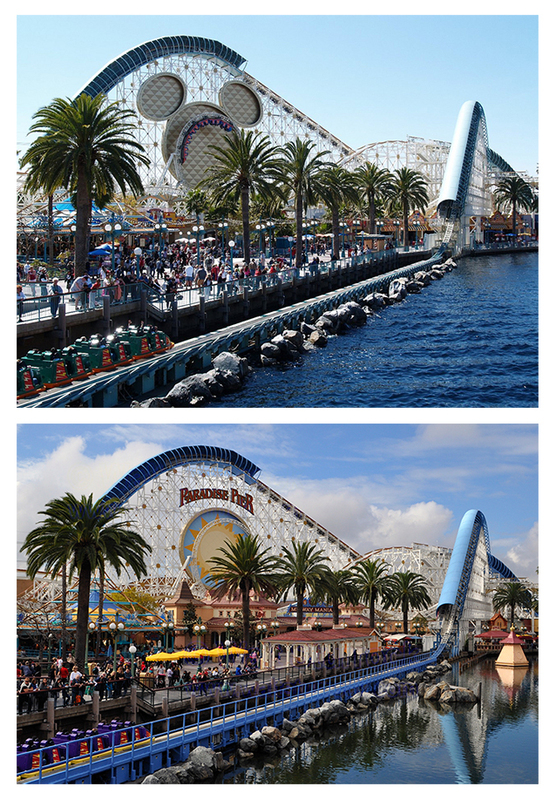 As I said, the roller coaster on the Donald Duck cover is far off model, and the three other covers also show us how the roller coaster used to look like, not how it looks today. I found these two images showing the old look compared to the current one. I also noticed that the coloring of the cars was different, but it looks like the paint job actually has changed over the years.